The discontinuing of personalised PIN and simplified login is a growing trend in the Swedish market, Swedbank is the latest bank in the process of removing this option. Instead, we see the Mobile BankID becoming even more central in terms of authentication in online channels. It is now provided by roughly 2/3 of the banks monitored, with Forex Bank and Danske Bank to follow shortly. During the first half of 2015 we have seen a lot of improvements around the mobile app functionalities and customer experience. One of the lasting trends within mobile banking apps is the ability for users to access more products. ICA Banken and SEB have recently introduced the option to overview funds within the app. SEB offers a product overview and a stream of the latest postfolio updates, whereas ICA Banken also allows the customer to buy funds within the app. Another improved functionality we have seen more of lately is in-app product applications. Some banks offer credit card and personal loan applications. Others, like Länsförsäkringar, allow customers to apply for different savings and investments accounts in the app. Länsförsäkringar for example, have a very straight forward application process; after filling out a one-page application form and signing, with either Mobile BankID or a customer security device, the account is opened and the account number is presented on the screen. A good example of instant fulfilment. At the end of last year Nordea released their experimentation app, Nordea Next, to their Norwegian and Finish personal banking customers. 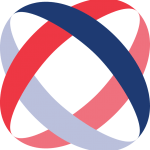 The layout of this app is identical to their existing mobile banking app, but with the ability to activate extra features and ideas that are currently in development. The idea is to involve customers in identifying the best ideas to introduce to the bank’s digital services, allowing for customers to influence the development stage by giving their feedback. The app was recently updated, new features include the Login Guard, Touch ID login, Apple Watch support and a Graph Balance. 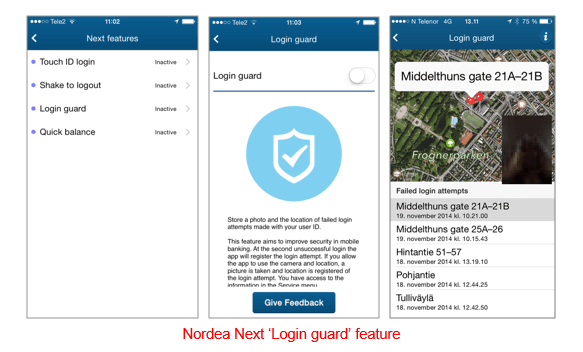 The Login Guard feature will take a picture and track the location if there are two unsuccessful attempts to log in to the mobile banking app. These innovative features are new to the Nordic market, we hope to see these features introduced in Sweden soon. Länsförsäkringar was the first Swedish bank to launch an app for the Apple Watch earlier this year. At the moment, Quick Balance is the only feature available on the app. However, with a lot of international activity in wearable apps, we expect to see more movement once the Apple Watch is launched in the Nordic countries.